The international theme of World Wetlands Day 2014 is “Wetlands and Agriculture: Partners for Growth”. For millennia, wetlands have been used directly for agriculture, and for supplying food, fuel and fibre to support lives and livelihoods. Wetlands continue to play an essential role in supporting modern day agriculture. They provide water storage, flood buffering, nutrient removal, water purification and erosion control. Sustainable practices which support both agriculture and healthy wetlands are therefore coming to the fore. This edition of Wetlands Australia includes several feature articles on wetlands and agriculture, along with many other articles on current wetland projects and programs. Australia was one of the first countries to sign the Convention on Wetlands of International Importance (more commonly known as the Ramsar Convention), and in 1974 designated the world's first Ramsar site: Cobourg Peninsula in the Northern Territory. In celebration of the 40th anniversary of the first Ramsar designation, this edition of Wetlands Australia also features 23 articles celebrating Australian Ramsar sites. Students and surf club - the clean-up team! The biggest threats to fishkeeping? The following article from Practical Fishkeeping gives a UK perspective about the hobby, but all of the issues discussed are relevant to fishkeeping hobbyists here in Australia. Something I’ve long admired about this hobby is its tenacity. It has, over the years, been subject to all sorts of accusations, including being geeky or uncool, being unnecessarily expensive (early marine keepers, anyone?) and even being environmentally unsound. Despite this the hobby and the supporting trade prevails, and even in the face of some fluctuating trends: not least of all that same, damning migration to online purchasing that can wither and drain bricks-and-mortar premises. More than just prevailing, in some cases it actively stands proud, is able to boast expansion, recruitment, and economic growth. Even during this ongoing global economic wobble, fishkeeping is burgeoning. Wow. That’s not to say that we are not vulnerable, susceptible even, to factors that could pull the metaphoric rug from under our feet. I’m often engaged in conversation with people across a breadth of different fields: anglers, wholesalers, retailers, hobbyists, environmental scientists, and so on. Talking across such a diverse spectrum, I pick up on a lot of different concerns that reside, often unwittingly so, at the backs of peoples’ minds. After sitting and brooding on these for way too long, I'd like to share my biggest fears of what could, at any time, befall our hobby and end fishkeeping. Pathogens capable of inciting disease pandemics are a major global worry. Just look at human concerns about antibiotic abuse and the occurrence of MRSA. Look at recent worries about Ebola outbreaks. Even look at the return of diseases that could easily be prevented in humans, were people not so blinkered and scientifically ill informed about vaccines. Disease pandemics are a major fear. If you’re a newcomer to the hobby, then whatever you think you know about fish farming – forget it. If you have images of clinical facilities where each and every fish is treated like a newborn infant, then it’s back to the drawing board time. Farms are businesses, plain and simple. The goal is to get young fish out of adults as eggs, to hatch them, and to get them up to saleable juveniles as soon as possible, and that means that pretty much anything is on the cards to get them there. Antibiotics are used where necessary (and maybe even where not), and not just the kinds of antibiotics that you or I might have access to via a vet. Different countries have different laws about what can and can’t be used, and in some it’s a bit of a medicine free for all. Antibiotics kill things indiscriminately (the very word 'antibiotic' literally translates as ‘against life’). The idea is that they kill bacteria at a lower dose rate than which they kill the host. So if a fish gets ill, you can poison everything in the tank with antibiotics, and the pathogens making the fish ill should die before the fish does, and then you can stop the antibiotics. However, if you leave a few bacteria behind, they start to get immune, and can build tolerance to the antibiotic. So, the next outbreak of bacteria will be a bit 'harder' to control than the first lot. Repeat the process, leave a few bacteria behind, and they get harder to kill again, until eventually you end up with pathogens that are so resistant to antibiotics that you’d need to use a dose rate so high that you’d kill the host before the pathogen. That’s the abridged version, anyway. The problem of course is that unregulated use of antibiotics over in the farming nations could quite feasibly create a strain of bacteria that our own antibiotics have no effect against. With diseased fish coming in, and no ability to cure them, we wouldn’t stand a chance. But it’s not just bacteria. There are a few pathogens on the horizon that are cause for concern at this time. In coldwater fish, there are the dreaded illnesses of KHV (Koi herpes virus) and SVC (Spring viraemia of Carp), both of which have the potential to cause massive problems to Cyprinids. Not so long ago, massive wipeouts from the former blighted farms across the world, causing losses on unmentionable scales in both ornamental and food fish culture. Here in the UK, some retailers faced the furious backlash from introducing the disease to consumer’s ponds. One was even driven to bankruptcy over it. In the tropical world, I am very twitchy about Tetrahymena pyriformis, otherwise known as Guppy disease (though this is unfair as many fish are susceptible). This disease can cause massive mortality at breakneck speeds, especially in farm, wholesale and retail environments. I’m not the only one worried about this particular pathogen, either. What is so very infuriating is the ‘wait and see’ attitude of some traders. This is not a disease to ignore, and to do so is not just at your own peril, but that of the entire industry. You will recall recently that Jack Heathcote had to close down his massive aquarium because of exorbitant running costs. Agreed, his tank was huge: an absolute electricity guzzling swimming pool of a thing. But the point is, it used to be well within his outgoings to operate. Prices are creeping, across the board, and more and more of us are noticing. Compulsory water metering, if introduced across the UK, will spell death for many users of RO water. Given that tapwater isn’t going to get better any time soon, marine keepers in particular will have the choice of either paying out for a safe supply, reverting the hardiest, nitrate tolerant specimens there are, or jacking the hobby in. Electricity might start to play on the minds of the fiscally conscious, too. As we’re encouraged to get our own monitors in the home to calculate what’s consuming what, I suspect that many will be alarmed at just how much a decent sized tank can cost to run. A handful of frantically spinning pumps, a couple of hundred watts of lighting, and a wheezing 300W heater or two all add up to become a financial burden, and given the balance of sacrificing the tank to the cause of improved monetary household harmony, I’ll wager that some might start to seriously consider a less power-hungry hobby. The tropical fish we get in the UK tend not to come from within the British shores. Many will be far eastern, along with some European, American and African contributions. Wherever they’re coming from, they’re coming via planes. A continuous squadron of winged beasts bring us boxes of fish like a hovering conveyer belt, and we’ve become very reliant upon it. Plane freight has been insidiously creeping upwards (no pun intened) for as long as I can remember. In fact, it’s the freight that frequently constitutes the majority cost of the livestock we buy. The trade might hate me for saying it, but a farmed guppy can be bought from Singapore or Malaysia for pennies. It’s only once it’s circumnavigated the globe, whizzing from one Hemisphere to the other that it has racked up a lot of airmiles, and those airmiles all add up to extra expenditure that needs to be reclaimed. Now this isn’t the end of the earth for fish where you can cram a few hundred into a box for transit. In that case the cost is distributed about: each and every fish carries its own little fragment of expense, to be added to a mark up. But what of larger specimen fishes? What of the larger wild catfish that come one to a box? I suspect that this aspect of the hobby is fast becoming vulnerable. Retailers, to their credit, strive to keep retail prices down on fish. You only have to look at the glacial creep of the value of staples like Neon tetra to realise that they’re becoming less and less profitable for the trader, though the competition and the market is fierce. These fish were about £1 each ten years back, and they’re still about £1 each now. Retailers know that they can’t crack the prices of many of these staples up without dissociating themselves like pariahs from the hobby, so they suffer in silence. Time could force a trader’s hand and we could see incremental price hikes. The big concern is where the cut off point is for the hobbyist. £3 for a Neon? £25 for a Pictus catfish? African cichlids starting at £30? Let’s rule nothing out, because a lot of factors are at play with pricing. I have spent the last few weeks scathing at the irresponsible actions of a minority of those in the industry. I’m not sure many of us realise just what kind of scrutiny we are under as a hobby. Whether we like it or not, we have enemies, and powerful ones at that, who see what we do as a threat. Many of our opposition and detractors are those in the angling community, who can have an unbalanced and solely derogatory view of us, and the perceived threat we could pose to their own industry. We as aquarists maintain what amount to collections of alien species in our ponds and tanks. Sterlets are far from indigenous, nor are the various gobies, catfish, tetra and so on that we keep. This taps back in to what I mentioned earlier, vis. disease of fish. Any one of us, anywhere in the world could, in theory, be sat on the equivalent of case zero. We already know that domestic shrimps can be carriers of White tail disease, an illness currently ravaging farms of commercial food shrimp. We don’t know if there’s any risk of native crayfish picking up this disease, and I don’t want to find out the hard way, but all it takes is for some bright spark to consider putting his or her shrimps in a pond at the height of summer, to then be promptly flooded so that the shrimps get into a local river and meet a crayfish. The outcome of that encounter isn’t hard to envisage. Is that even feasible? Well, yes. Loads of aquarists were affected by this year’s flooding, and I’m open mouthed and speechless that some people are even trying to highlight to the national tabloids that their fish escaped. Already that’s opened a forum on whether those at risk of flooding are allowed to keep the fish that they do. But the last thing we want to be doing now is drawing excess attention to it. If ecosystems in certain rivers or lakes are impacted by fish like sterlets, who do you think will take the blame? And what then, the ramifications for our trade? Suffice to say, if someone’s escapees blight the native fish of a county, the angling lobbyists and national newspapers will demonise us to the extent that we won’t be able to walk down the roads without being spat on. Controls are in place to stop just this kind of thing from happening. Legislation already incorporates rules and laws about where non-natives may and may not be put. Dangerously invasive fish are denied entry to the country through the implementation of the Import of Live Fish Act. Enter the imbecile. The imbecile is someone who, upon going against all of the advice of his retailer, decides to buy a gaggle of potentially invasive, non-natives that promptly outgrow his pond. The imbecile then takes the fish, in his desire to be rid, and upends them into a local waterway. I’m not saying that any of us should sit back and await this to happen. Rather, we should be aware of such people, and be thoroughly prepared to dob them in at the first hint of trouble. Call me a snitch for that if you like, but I’m more interested in the welfare of UK waterways than I am in some puerile, school playground code of honour. CEFAS would be a good port of call when reporting imbeciles like the one mentioned above. Even the local constabulary, when made aware that someone is intending to release non-natives into British waterways, will be obligated to do something. The release of non-natives is an illegal act, and we should all be guarded against it. Anti-hobbyists would seize any opportunity to extirpate our industry, and it is essential that we don’t give them an easy opening to do so. This one isn’t something that we have too much say over, but where we do, we should. Here’s a surprise for you. Some of the fish we currently keep are extinct in the wild. Red tailed sharks, for example, no longer have a native range. It was destroyed by damming, cities, irrigation and farming. Liquorice gouramis are going the same way, as their habitat is eaten up by Palm plantations. 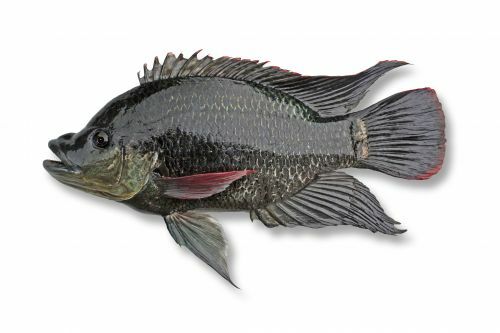 Certain African cichlids have vanished into the maws of Nile perch. Degradation leads to extinction, and extinction means no new bloodlines. Eventually, that means inbreeding and variation. Now that’s fine if you fancy stores choc-full of Flowerhorns and the blandest of the bland in farmed staples, but with nothing interesting to offer, the trade might will be on its knees. It’ll certainly have no substance if there aren’t any decent fish left. A few paragraphs above, where I lamented the release of non-natives, I drew attention to the dangers of a few rogue aquarists jeopardising our hobby on a national scale. Worse still is that our comrades in mainland Europe could just as easily spoil things for us by releasing fish there, too. Recall the recent debacle of the Golden apple snail. We Brits did nothing wrong on our own turf, but it transpires that a snail population was released and decided to make merry in the waters of Spain. After some investigation it was argued that the snails could just as easily invade and establish into certain water of East Anglia. Just like that, legislation was drafted and the snails banned from importation and movement between EU countries. I choke every time I read about the likes of Pacu being found in Parisian rivers, or Cabomba strangling Dutch waterways. Each of these is the produce of an irresponsible aquarist out there somewhere, and all are potential trade cripplers for the whole continent. It’s bad enough knowing that a slip up on our own shores could warrant investigation, but to know it’s possibly wrested from our hands altogether is outright harrowing. The idea that someone could upset the Euro trade of Callichthyds by being foolish enough to put Scleromystax into Italian rivers is a troubling one. Rhinogobius found in Austrian ponds could be the end of those little cuties for all of us, and so on. Given how high the powers of Europe go, I’m not even sure we’d have the grounding or stamina to successfully fight our corner. Autonomy is required, though how to gain it isn’t exactly clear. It’s certainly one for the regulatory bodies to ascertain, because I’m sure that like me, you don’t want to be held accountable for problems you were never part of. We’re all familiar with the idea of culture shock, and cross-generation differences. With each new generation the nation produces, the paradigm of attitudes and opinions alters ever so slightly. It happens across so many different trains of thought that I’m almost stuck for choice, so examples are rife. Let’s start with obvious points like racism and sexism. If we go back 100 years, prevalent attitudes to females and foreign ethnicities were radically different to what they are today. That’s not to say that everybody was a xenophobic misogynist, but compared to today’s standard, the percentile of people who would have happily passed off derogatory comments about either was considerably higher than it is now. Opinions and attitudes are often languidly slow to change, but change they do. The same applies to the world of animal ethics, too. Fifty years ago, the idea that someone might be tried for abusing a pig on a farm would have been near laughable. Flash forward to 2014, and the same person could expect to be near lynched, banned from working with animals, and possibly even subject to custodial sentence. We’re seeing gradual encroachment into pet keeping, if you keep eyes peeled. How frequently do you now see cage birds on sale? Many retailers have abandoned them, and those that haven’t yet are often under pressure to do so. Again, just fifty years back a teenager wouldn’t have batted an eyelid at his or her mother keeping a canary in a cage. In the modern day, you’ll find increasing numbers of youngsters who would brand the act as cruel. It’s a gradual process. We’ve already witnessed campaigns to get some fish out of aquatic stores. Giants like Pacu are increasingly considered ethically unsound, with the long term welfare consideration for the fish itself now ranking much higher than the novelty of keeping one for a while. Retailers are becoming more switched on and savvy in their vetting of potential keepers. Ethics rank higher than pound signs in some stores, who will politely refuse a sale if they think the fish in question will not have its requirements yet. People care. None of this is to say that we’re on a slippery slope that will eventually lead to a total rejection of fishkeeping by some future generation. We can, after all, dig our heels in before it gets runaway, and this is something that we should perhaps guard against. Showing ourselves in a positive light is essential, and perhaps more essential than ever if we’re to win over the minds of tomorrow’s keeper. 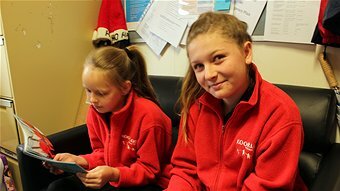 Young people will be the future of the hobby, and if they reach hobby age having been influenced in such a way they think the trade negative, then it’s pretty much game over. No new fishkeepers, no continued hobby. I should probably include the caveat 'once grabbed by the mainstream media' for the above subheading. Zoonotic illness alone is unlikely to wipe out fishkeeping, in the same way that recent TB cases acquired from cats won’t be leading to a global purge on felines any time soon. The worst situation that could befall us would be a combination of tragic events. Someone young and immunocomprimised for whatever reason, picking up a particularly nasty strain of Leptospirosis, or something similar and dying would be a disaster in every way, not least of all for the individual concerned. We know that hygiene is essential when working with tanks. We understand that getting unprotected hands with cuts in aquaria is to invite disaster, and we can eradicate this risk at source, just by being both aware of the hazards, and being aware of how to safeguard against them. Just bear in mind that if you’re taking risks with your health for the sake of your hobby, then you’re not just putting your own neck on the line. If it all goes very, very wrong and you end up in a bad way, then you’re potentially messing it up for the rest of us. I’m upset that most of the factors above are in many ways beyond the remit of the day-to-day aquarist. Responsible buying can help to reduce the chance of disease and zoonosis, and voting with our wallets can promote retailers to purchase better quality and responsibly sourced stock. Expenses are beyond our control, bar lobbying MPs and embracing efficiency where we can. Championing low running cost technology over higher wattage 'budget' alternatives will help such lines to grow, in turn safeguarding us in the longer run. What is definitely in our grasp, and what I consider the biggest danger to us all, is not releasing fish in the UK. I cannot reiterate enough just how damning it would be for us to have subtropical species that are only sourced through our hobby turning up in native ponds and rivers. I’ve harped on about it numerous times, but I’m not going to miss another opportunity to do the same. If you release your fish in to the wild, or are considering doing so, then shame upon you. I will have no truck with anyone who wants to jeopardise the hobby for all of us like that, and who also shows abject disregard for the wellbeing of their livestock. Keep fish in their tanks where they are not a risk, and I beseech each and every one of you: if you know someone who’s planning to release, call the authorities and make them act on it. It’s your hobby at stake too. 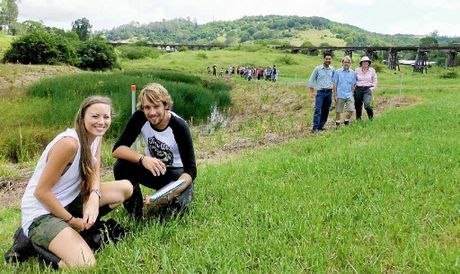 ENVIRONMENTAL science students at Southern Cross University got the chance to visit the Slaters Creek constructed wetland in North Lismore on Monday and learn about the positives of modern stormwater treatment techniques. FIELD TRIP: Touring Lismore City Council’s constructed wetland at Slaters Creek are Southern Cross University natural resource management students Sam Walker and Trent McIntyre, with (back from left) council environmental strategies officer Anton Nguyen, SCU lecturer Dr Antony McCardell and the Water and Carbon Group’s Katrina Curran. Third-year SCU students from the unit Ecotechnology for Water Management got to explore the wetlands with their tutor Antony McCardell, who said one of the great benefits of the environmental science courses at SCU was the wide range of natural and manmade environments available for students to visit on a field trip. "With increasing human impacts on waterways there is a growing need for urban planning to approach stormwater and wastewater management in ways that benefit both humans and the environment," Dr McCardell said. Lismore City Council had commissioned the $180,000 wetland to improve the creek's water quality - identified as containing high levels of pollution - before it enters the Wilsons River. Now the wetland is showing good signs of working efficiently following a period of settling, is also attracting bird life and has improved the amenity of public open space in the area, the council has said. A technical analysis of the wetland was provided for the students by Katrina Curran from the Water and Carbon Group, which designed the wetland and monitors it. "Wetland habitats have been severely impacted as a result of urban development through changes to both water quality and quantity entering waterways," Ms Curran said. "New urban areas are now required to treat stormwater but this project is important as it seeks to improve water quality and biodiversity in an area that has already been developed." As well as treating stormwater effectively by mimicking nature's own systems of filtration, the wetland complements restoration work undertaken by the Banyam/Baigham Landcare Group over the past few years.